Cities on Speed, GLOBAL VISIONS FOR an urban FUTURE is a documentary project commissioned by The Danish Film Institute and the national broadcaster DR. 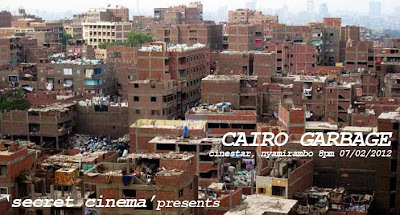 The project is a series of four films – Bogotà Change, Mumbai Disconnected, Cairo Garbage, and Shanghai Space -, selected through a call for submissions, directed by four different filmmakers who tell character-based stories on four of the world’s largest megacities: Bogotá, Cairo, Mumbai and Shanghai. The series presents four filmic views of human conditions in four of the world’s biggest cities, focusing on urban problems and the people who are working on radical solutions – from underground parks in Shanghai, over clowns miming traffic police in Bogotá, to the so-called garbage collectors in Cairo and the Nano cars of Mumbai. These films are in conjunction with KIST Urban Design Studio Year 4 and there will be a short introduction by tutors Ilaria Boniboruni and/or Killian Doherty. The future intention is that this film series films relating to architecture and urban design will be screened to the public at KIST. 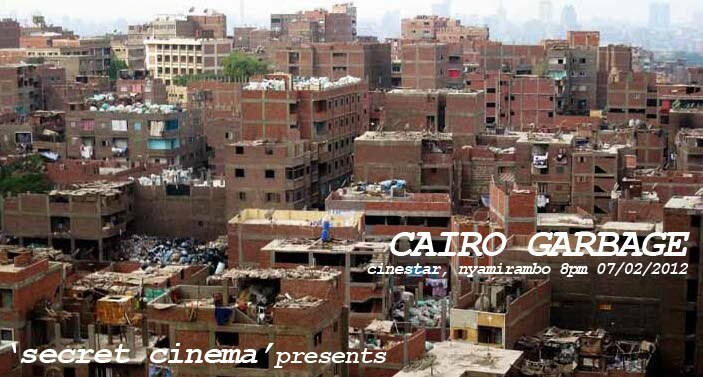 I will be showing these starting with 'Cairo Garbage on 7th February at 8pm', at CINESTAR cinema in Nyamirambo. The remaining 3 films, will be spread out over the following weeks/months inbetween 'Secret Cinema' nights; below are the provisional dates.